DentalPlans.com offers you an easy, convenient way to find a dentist in Kansas City, MO and save on General Dentistry and more. All you have to do is enter your ZIP code to review the leading discount dental plans and participating dentists available in Kansas City, MO. Select one of our featured discount dental plans and benefit from discounts from 10% to 60% on most dental care services performed by dentists such as Dr. Wendy J Weimer. Once you've joined the best dental plan for you, schedule a dental appointment with Dr. Wendy J Weimer in Kansas City and get discounts on General Dentistry and more. Our individual and family discount dental plans start at $79.95 per year and $129.95 per year respectively, and will save you money with dental care discounts on services like General Dentistry. 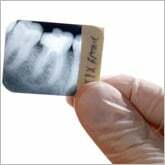 Our vast dentist database has a wide range of general dentists, oral surgeons, endodontists, and more! So if you want discounts on oral exams, cosmetic teeth whitening, braces (orthodontics), root canals, crowns and more, our comprehensive dentist directory is an ideal place to find affordable dental care specialists and dentists in Kansas City, MO.